The Japanese really know how to celebrate a new year. In addition to the traditions of going to the shrine, eating soba, and pounding rice, there’s Shishi-Mai, or the Lion Dance. 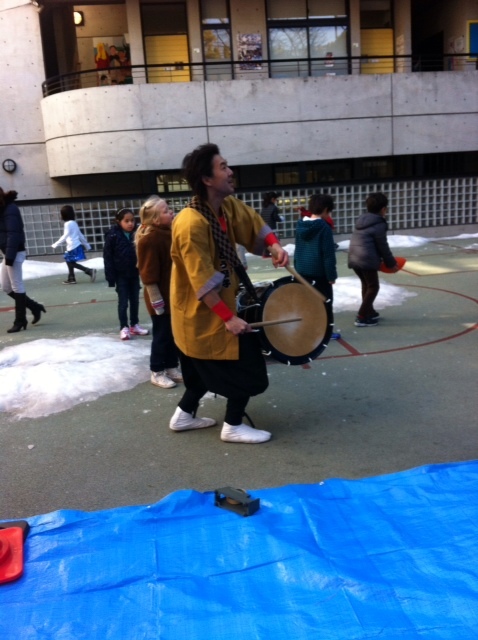 The Lion dances around to the beat of drums and the tune of flutes. 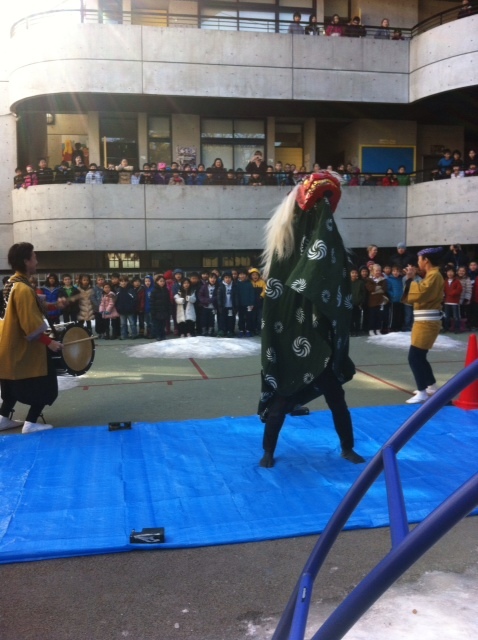 As it dances, people can put money in its mouth for good luck. Because most Shishi-mae troupes originate from a shrine, all money goes to support the shrine. The Japanese lion consists of a wooden, lacquered head called a “shishi-gashira” (Lion Head), and a characteristic body of green dyed cloth with white designs. 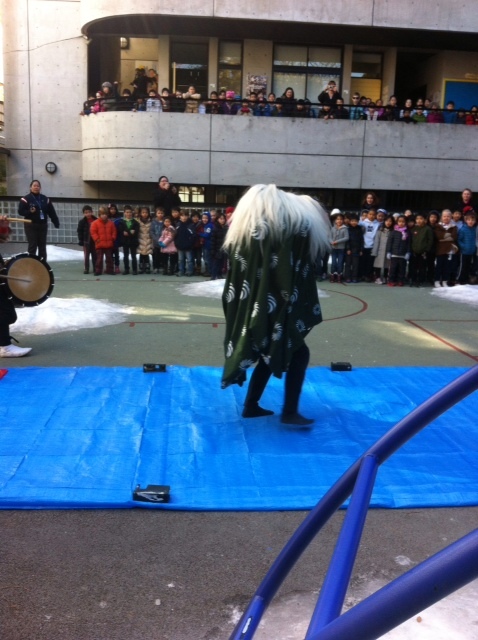 One family at my daughter’s school sponsored a shishi-mai demonstration at the International School the children attend. It was quite a treat to watch.